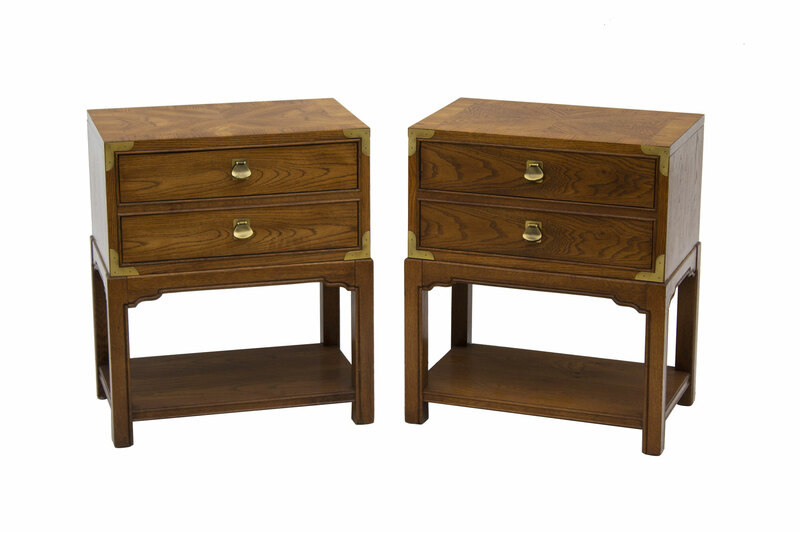 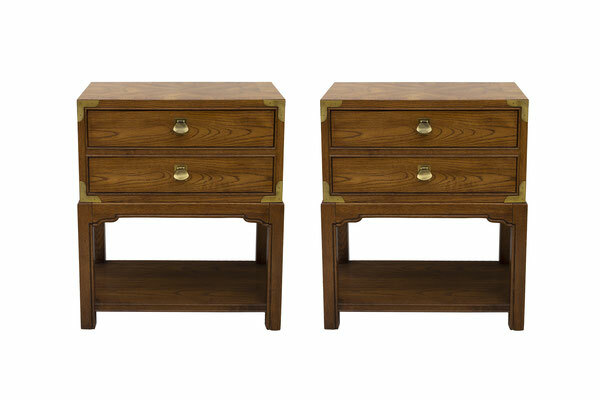 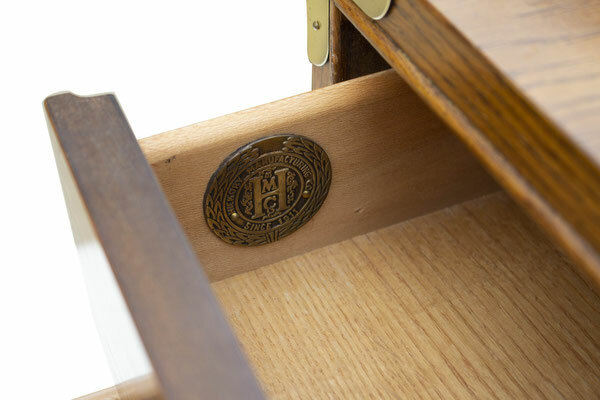 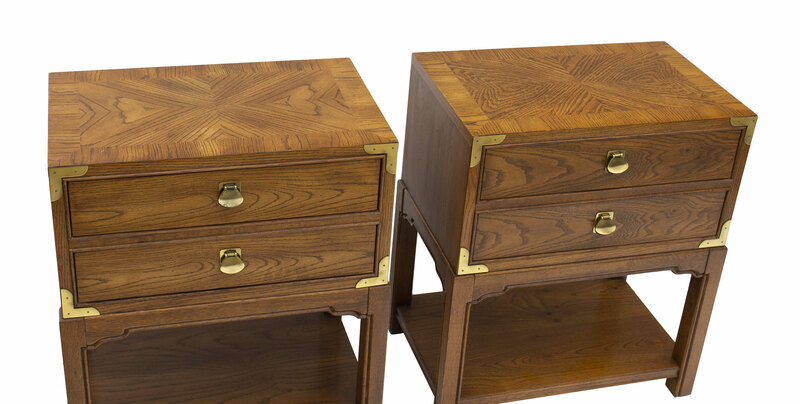 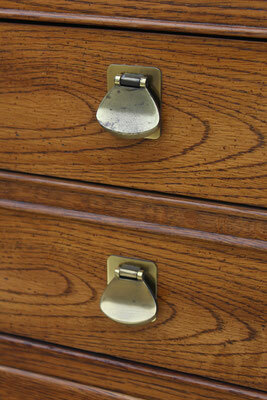 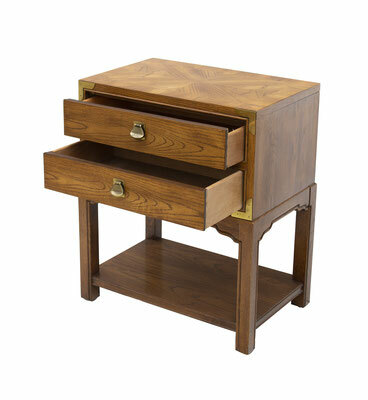 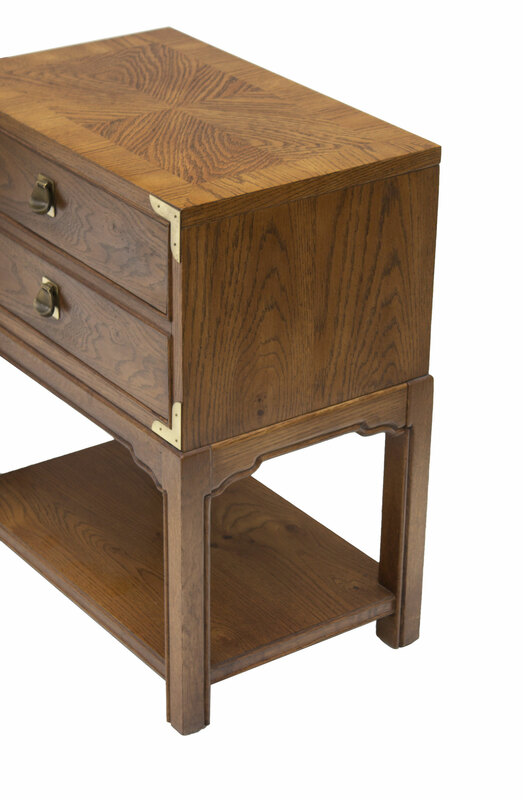 Pair of Campaign Nightstands in oak by Hickory Furniture. 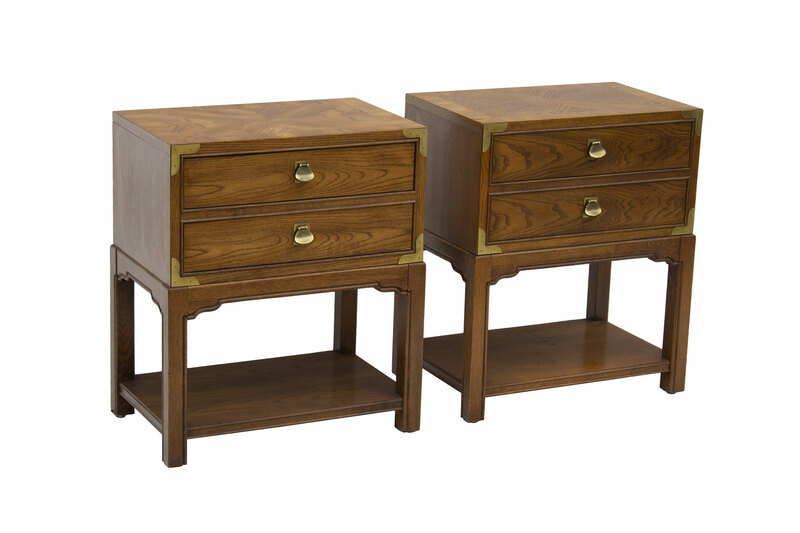 These are solidly constructed and quite heavy for their size. 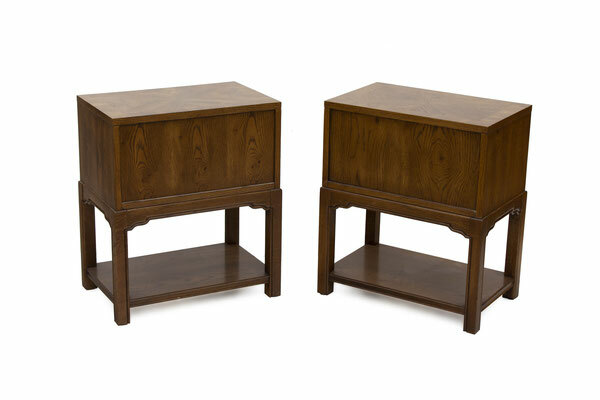 They offer a large amount of both open and concealed storage- each has two drawers and an open shelf below. 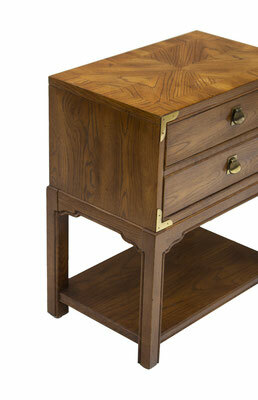 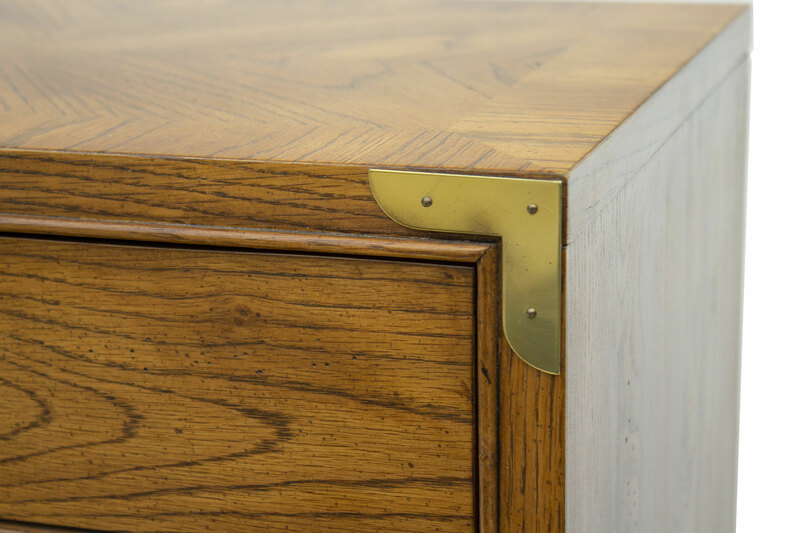 Flattened, curved brass drop pulls and campaign style hardware with chinoiserie style shaped legs. The tops have a starburst pattern. 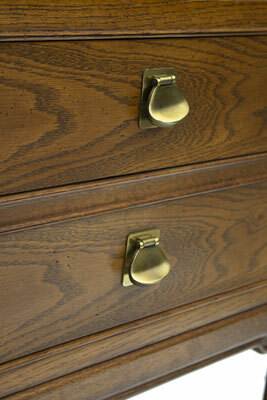 These are in excellent condition but would also look great in a solid color lacquer- navy blue, red, green, white, black. 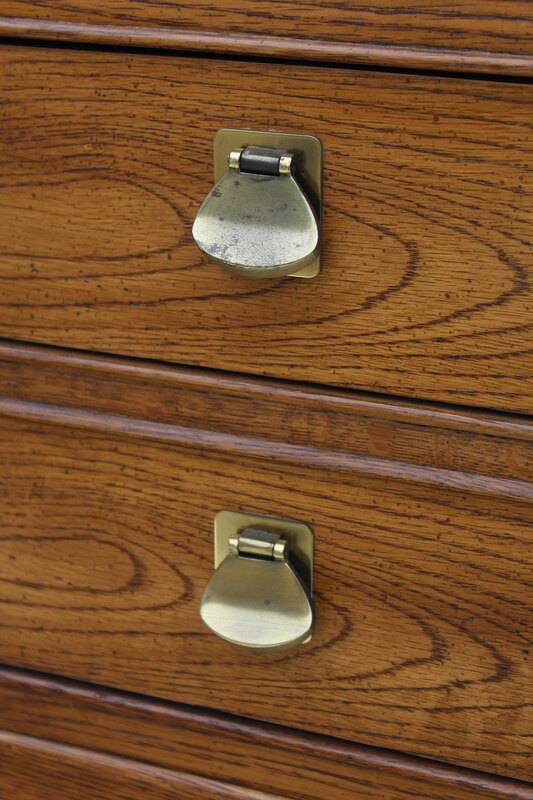 CONDITION NOTES: In excellent condition- only the very slightest of any kind of mark. The backs are also finished- an unusual feature.